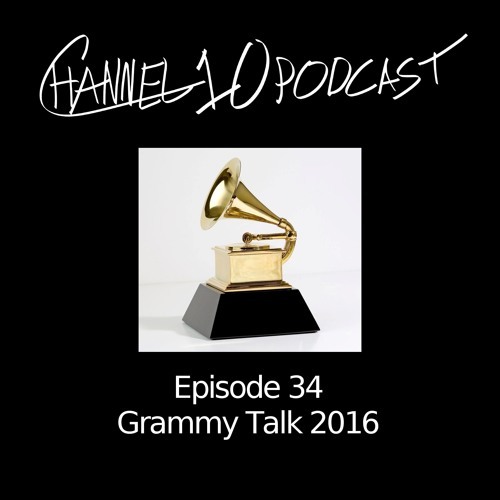 This week, we discuss urban music's representation at the 2016 Grammys, discover Kendrick Lamar's full government name, break down the complex intricacies of Fetty Wap's lyrics, discuss Wu-Tang Clan's "Once Upon A Time In Shaolin," and more. Please favorite, subscribe, and comment on iTunes, Soundcloud, and Stitcher. Visit channel10podcast.com for more dope episodes, and click the "Store" link at the top to purchase Channel 10 Podcast merchandise and support the podcast.